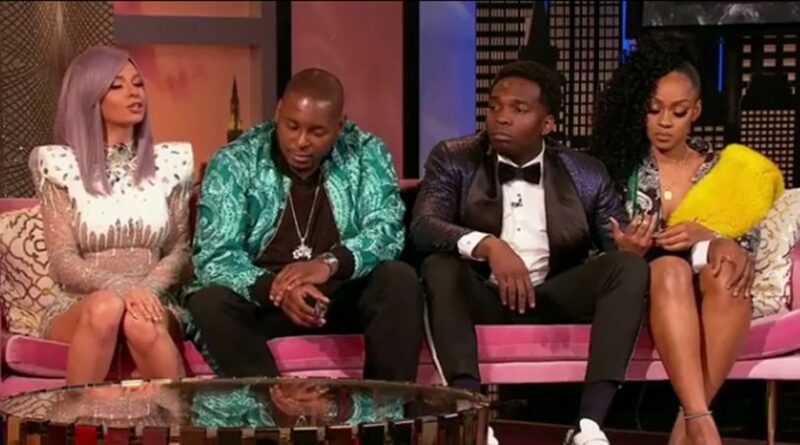 Here is what we learned last night on the Love & Hip Hop 8 Reunion Pt 1. First off Safaree and JuJu came in matching yellow, so we all could see something was up with that. 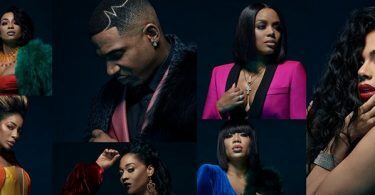 CelebNReality247.com has the latest drama from the Love & Hip Hop 8 Reunion Pt 1 and it appears that Anais and Rich Dollaz tried to hash out their relationship, but Richie D proved he’s a creep. The episode kicked off things with Anais and Rich Dollaz, asking them both to give their views on the affair. 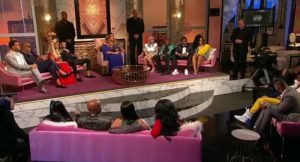 Words got thrown back and fourth on the reunion and Johnathan put Rich on blast stating that he knew he was wrong from the start. He also told Anais that Rich was NOT the one for her, due to his history with women in the tri-state area. We also learned that Remy Ma is TIRED of Brittney Taylor and Bianca‘s petty feud that never seems to end. Remy explains to the girls that being locked up, she worried about her son, Papoose, surviving and getting back to her family. She also told Brittany to stop threatening people because one day she’s not gonna be ready and they will be. Mendeecees made a recording for his mom and Yandy. He talked about his disappointment and how Yandy dresses too young. It was basically a waste and unnecessary. Plus, Yandy wasn’t to happy about her message. It wasn’t as sweet as she expected. Johnathan hashed it out with Trent, and revealed that he is officially divorced from his estranged Los Angeles husband. He also said he and his mom are a work in progress and that he wishes Trent well and success. Just in case y’all were wondering… #LHHNY #LHHReunion. Remy and Papoose had great news to reveal on the episode, but most of you already know Remy Ma is pregnant via Invetro. 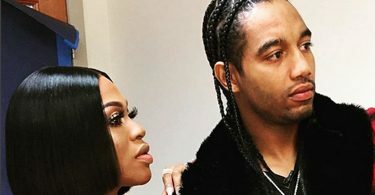 The hip hop king and Queen of the series revealed the big news, but Remy is staying tight lipped on the gender of their baby. The reunion ended when James R told MariahLynn she wasn’t worth a real diamond. He also apologized to Jaquae, who thanked him for taking in his used baggage. But that is where things went left. Snoop, who more like one of the guys in the Creep Squad got into with James R. She and James started getting loud, but when Rated R told Snoop to “start acting more like a woman, because that is what you are,” Snoop snapped. In seconds, Snoop was off the couch and ready to take James R out, the only problem is security grabbed her just steps away from her spot. James R.’s beef with Snoop and Mariahlynn comes back FULL FORCE on PT. 1 of the #LHHReunion. Watch it all go down TONIGHT at 8/7c!